Oahu’s sprawling electrical grid — the 3,000 miles of lines that deliver power to local homes, stores, fuel and water pumps — is in better shape than Puerto Rico’s was when Hurricane Maria pummeled that Caribbean island. The Windward side and much of East Oahu rely on power transmitted over the rugged Koolau mountains. If remote towers or lines go down, experts say thousands could be left without power indefinitely. The gap leaves the Windward region and parts of East Oahu especially vulnerable to an extended outage after a major storm. “You can plan for certain scenarios. 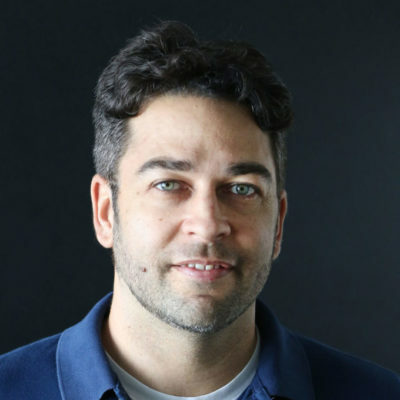 Guaranteed you probably haven’t thought of all the different twists that will be thrown at you.” — Scott Seu, HECO vice-president. 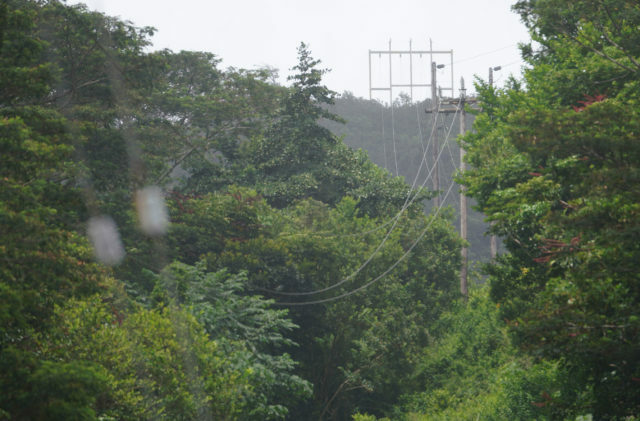 Kailua, Kaneohe and Waimanalo residents get their power from transmission lines that climb over some of the steepest ridges of the Koolau mountains. 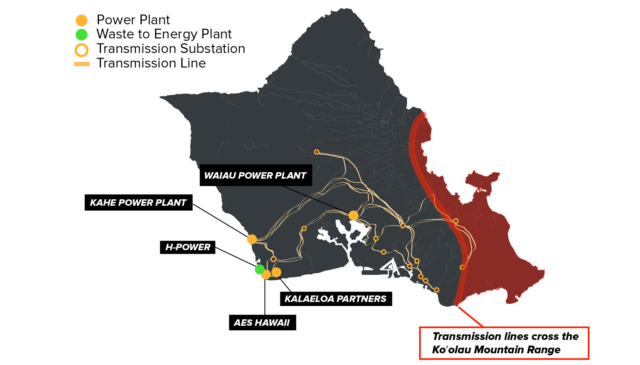 Then, the transmission lines cross back over the Koolaus from the Windward side to deliver power to thousands of East Oahu residents as far west as Kahala. If any lines or towers fail along that arduous path, it could leave thousands of people without power, indefinitely. The issue clearly weighed on HECO President Alan Oshima as Hurricane Lane bore down on Oahu. 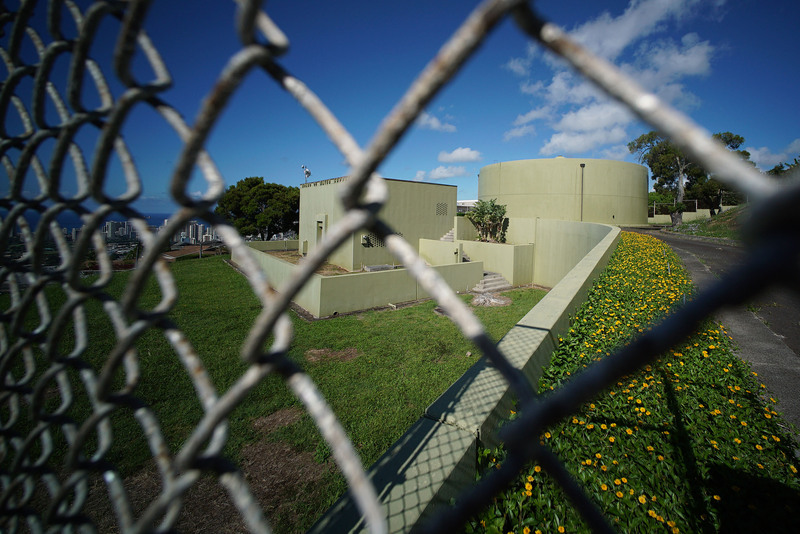 “On this island, I’m more concerned about the trans-Koolau transmission lines,” he said during an Aug. 24 briefing at a state emergency bunker inside the Diamond Head crater. It’s “an area that we really need to think about,” Seu added during a subsequent interview. HECO wants to build “community generation” centers where back-up power is hooked up in advance so residents could get access to electricity and other service. 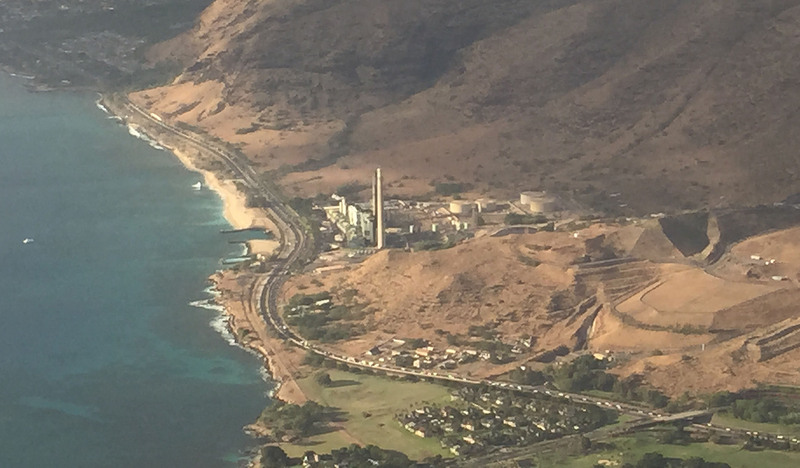 Pictured here is Kahe Electric Plant on the Leeward side, the island’s largest power plant. 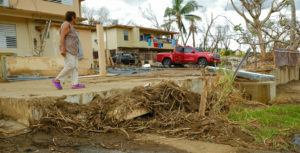 After hurricanes Maria and Harvey devastated Puerto Rico and parts of Texas, HECO reached out to Windward-side neighborhood boards, Castle Medical Center, the Kailua-based Harold K.L. Castle Foundation, emergency responders and other community groups to discuss the problem. 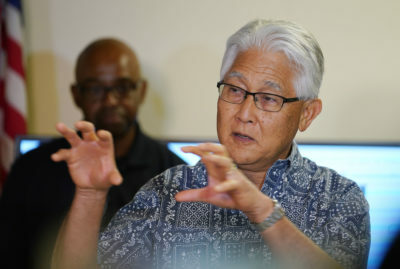 HECO still needs to make sure all the Windward fire and police stations, the wastewater treatment plants, the clinics and other critical facilities have backup power generation. During preparation for Hurricane Lane, HECO President Alan Oshima said he was most concerned about the transmission lines crossing the mountains. Islandwide, the utility wants to help create “community enclaves” — isolated spots that are specially hooked up in advance for backup power generation. In an outage, nearby residents could head to these spots — say, a shopping plaza — for access to electricity, groceries, fuel and ATMs. For Hawaii, however, such enclaves are still conceptual. “We are not far” along in identifying where those Oahu enclaves would be, Seu said. 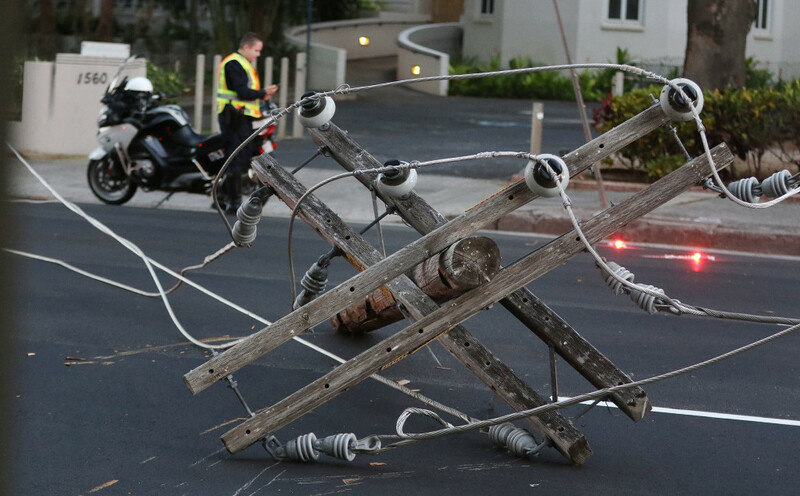 In the long term, fixing Oahu’s grid weaknesses will also require big changes to the grid itself. The grid will always rely on transmission lines. Still, as the state moves toward its 100 percent renewable energy goal, the grid can simultaneously be made more durable, allowing HECO to restore power more quickly, officials say. 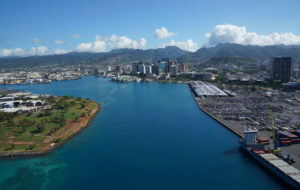 Smaller, renewable energy substations, such as the new 50-megawatt biofuel plant at Schofield Barracks, could replace the larger-coal-fired plants clustered in West Oahu. These emerging smaller plants and microgrids could pop up in different, strategic parts of Oahu. If the grid fails, they could stand up on their own — like independent cells or islands — and send power to the nearby area. 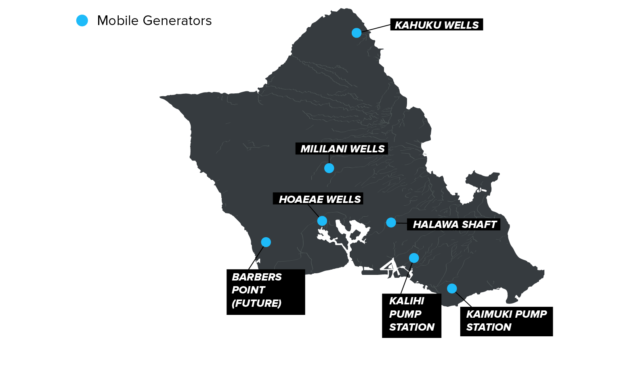 “You have to have places on the grid that have strong enough back-up power to regenerate,” Ulupono’s Datta said. 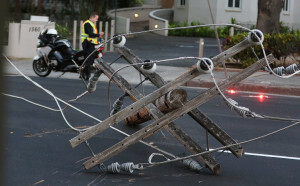 But reshaping Oahu’s grid will take decades, officials say. Further, it would require community buy-in on any new sites, because even the smaller renewable plants will leave their footprint on an area. Electricity also powers the pumps that supply about 145 million gallons of fresh water every day across Oahu, at 79 well stations. If the island loses its electrical grid, the Board of Water Supply estimates it could supply about 30 percent of that capacity, using seven mobile generators. The limited water would only be accessible in several places, however. Residents in St. Louis Heights, for example, would have to venture out of the mountains to the Kalihi pump station. Elderly and residents with disabilities could have trouble reaching the designated water areas without help. 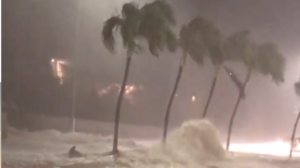 In a hurricane, officials say limited water supplies might be accessible only in certain places. For example, St. Louis Heights residents might have to go down to a pump station in Kalihi. 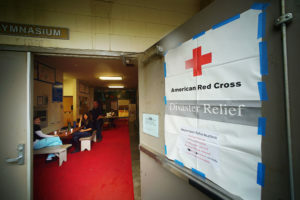 Hawaii’s emergency officials recommend households keep a 14-day supply of water, with at least one gallon of water a day per person, in case a hurricane strikes. 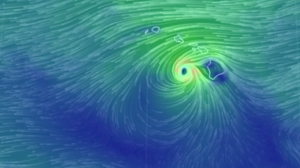 Haleiwa, Waialua and Waianae would be especially isolated, with no BWS generators set to immediately deploy near there. The agency would likely send water tankers to the region, but their capacity is limited. Currently, the agency’s mobile generators only have fuel to last about a day, but BWS officials say they’re working with the Hawaii Emergency Management Agency on a refueling plan to keep those generators going. 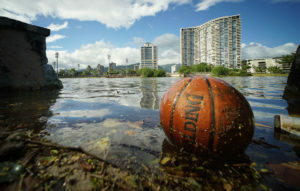 Oahu’s water officials are also counting on parts of the grid to be eventually restored so it can re-deploy their generators to other sites, namely the North Shore. They aim to buy an eighth generator soon and eventually more after that, but the costs are a challenge. Each of these large generators costs from $200,000 to $300,000. The agency already has its hands full repairing the island’s water pipes, which are nearly a century old.